Today I'm participating in the cover reveal for REAPING ME SOFTLY by Kate Evangelista ! Before we get started, I want to say a big thank-you to AToMR Tours for hosting this awesome event and letting me be a part of it! Isn't it gorgeous?! Wow, I'm in love with this cover- the cold, brittleness mixed in with the beautiful butterflies is so eerie....it's gorgeous! For those of you who haven't heard of Kate Evangelista before, she is the author of the popular book, Taste! Although I have not yet read Taste, I have heard AMAZING things- it's definitely high on my TBR list!! 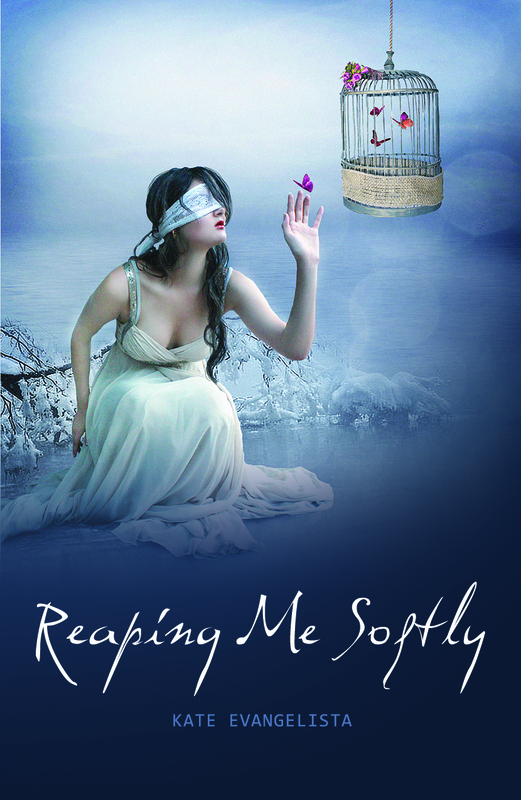 Reaping Me Softly is set to be released OCTOBER 30, 2012 so be sure to mark that date down on your calendars! What do you think about the cover? Did you love Kate's other book, Taste? Let me know in the comments! Keep Reading! I have heard of this Author but I have yet to read Taste. And I agree, this cover is truly beautiful.